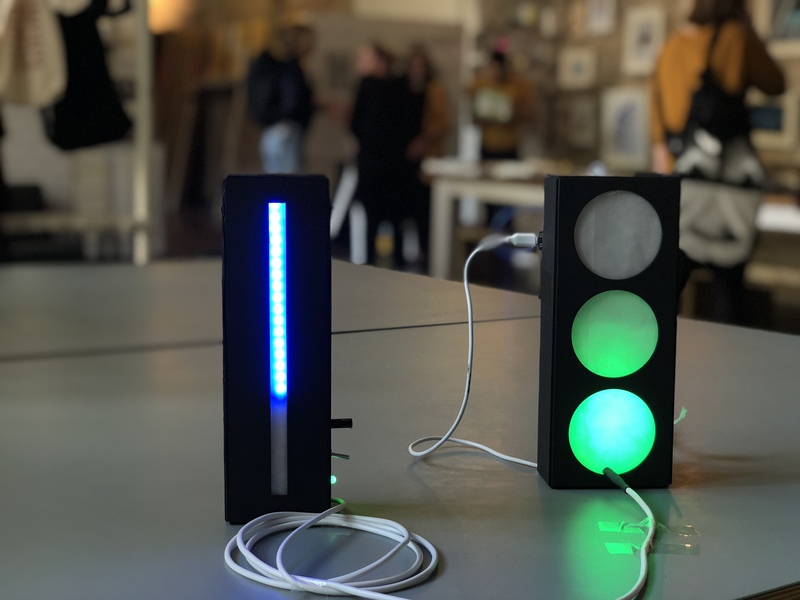 With this project we want to help cyclists to get from point A to point B, catching as many green lights as possible. We wanted to develop a low cost system (<100€), without any need for gadgets or apps. It is easily adoptable to any existing traffic light. The indicator is self-learning and does not require any connection to the public network. The systems indicates the cyclist when the green phase is about the switch to red with an LED count down. 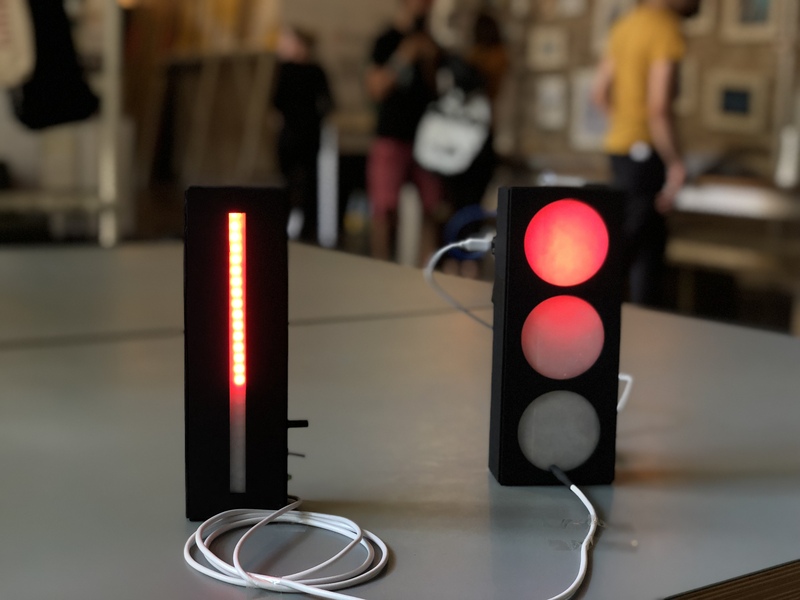 12 seconds before the traffic light switches to red, the LED bar decreases in 2 second steps. The cyclist can decide - depending on his distance to the traffic light, and the speed he is going, whether it makes sense to speed up and catch the green light, or rather slow down and coast to the red light. Its setup by 2 micro controllers with an LED strip each, and a photosensor that captures the green and red light phases.